Chelsea boss, Maurizio Sarri on Sunday made history in his side’s 4-0 victory over Burnley at the Premier League. 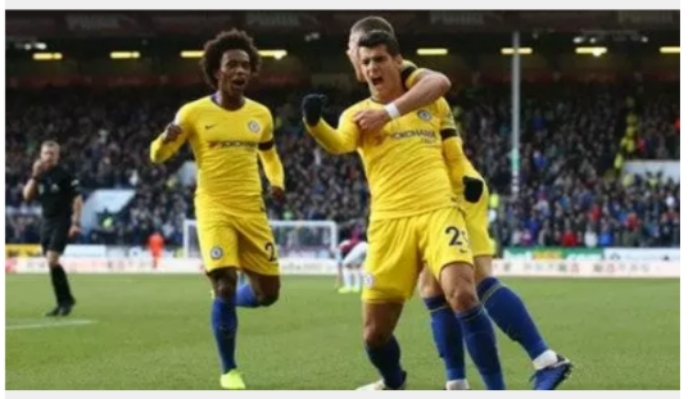 Goals from Alvaro Morata, Ross Barkley, Willian and Ruben Loftus-Cheek ensured victory for the Blues at Turf Moor Stadium. The win over Burnley means Sarri has now become the first Chelsea manager to remain unbeaten in his first ten Premier League games in charge of the West London club, according to OptaChelsea. Sarri’s side currently occupies the second position on the Premier League table with 24 points from ten matches. Chelsea will now take on Crystal Palace in their next Premier League fixture on November 4.